A Neighborhood Watch Program is a group of people living in the same area who want to make their neighborhood safer by working together and in conjunction with local law enforcement to reduce crime and improve their quality of life. It promotes neighbors watching out for each other during the workday, evenings, vacations or any other absence. The purpose of a Neighborhood Watch Program is to create an alert neighborhood by using simple crime prevention methods. The Neighborhood Watch Program does not promote vigilantism. Members of Neighborhood Watch groups are never asked to put themselves in harm’s way to prevent crime. They should only observe and report suspicious activities to the Police Department. This leaves the responsibility for confronting and apprehending criminals where it belongs; with your Bucyrus Police Officers. If you live in these areas and are interested in joining the Neighborhood Watch, please contact the coordinator for more information. First, click on the link for “Block Watch Captain's Guide" for information on the basics of putting your Neighborhood Watch group together. Check out our links page for tools to help create a successful Neighborhood watch group in your area. Here are 10 great tips on how to observe your neighborhood. Donations to the Bucyrus Neighborhood Watch Program can be made through the Bucyrus Area Community Foundation website at http://www.bacfoundation.org/. Donations can be made by using a debit, credit, or PayPal account. 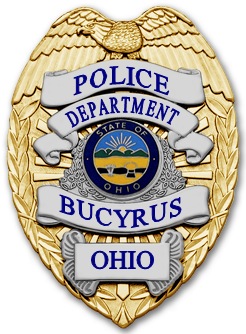 Be a part of the growing Bucyrus Neighborhood Watch. A neighborhood watch is homeland security at the most local level. It is an opportunity to volunteer and work towards increasing the safety and security of our homes and our homeland. Where disorder problems are the primary focus of Neighborhood Watch members, Volunteers mobilize and conduct neighborhood clean-ups, or work with faith-based organizations when applicable.